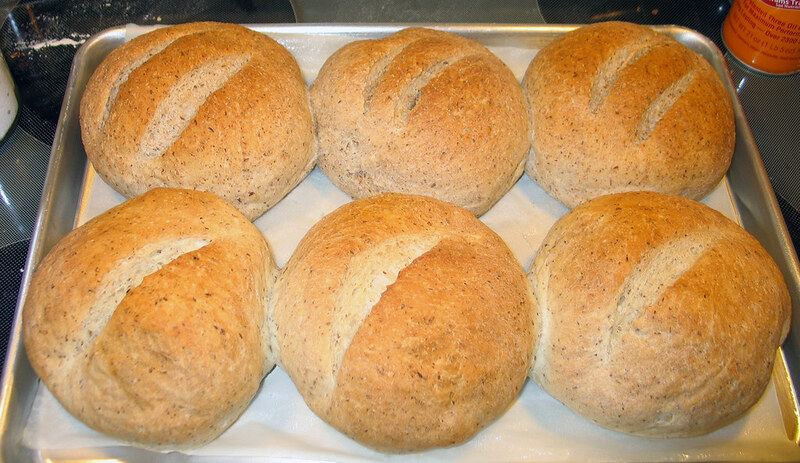 I just did up a quick double batch, half white half wheat, to take to a gathering this evening. I added twice the flax meal I usually use to see what happens, I think it changes the texture and flavor a bit more than I wanted it to, but we'll see how it is after cooling. It confirmed that 6 half pound loaves are all that will comfortably fit on a sheet pan. I want bread so bad that I'm --->this close<--- to licking my laptop screen. I am a bread addict.